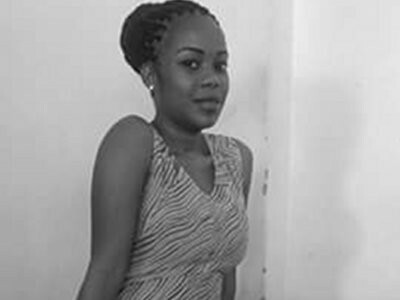 Zuhura Seng’enge is a fresh graduate from the University of Dar es salaam currently volunteering with Culture and Development East Africa (CDEA). She has been very inspired by literature (especially poetry) since her childhood. She wrote her first poem in primary school at age 12, and since then, poetry has always been her way of expressing herself and inspiring others . 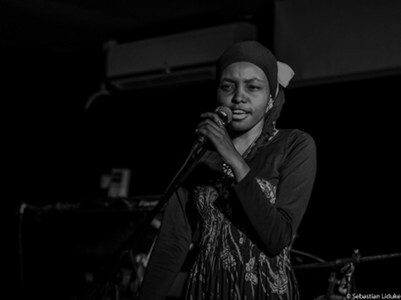 As a poet Zuhura has participated in events such as; The Woman Scream International Poetry Festival (2014 and 2015), The Swahili Carnival (2014) and the first Dar Poetry Festival (2015). Her dream is to inspire young people to use Art as a tool for change and development in their lives. Caroline Anande Uliwa aka Carol Anande is a 29-year-old artist residing in Dar es Salaam Tanzania. 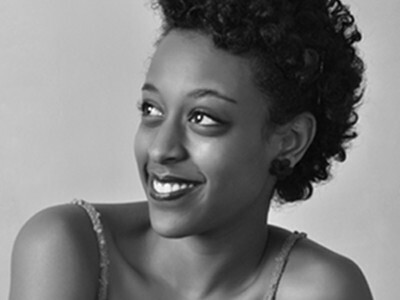 Marta Haileyesus was born in 1986 in Addis Ababa. 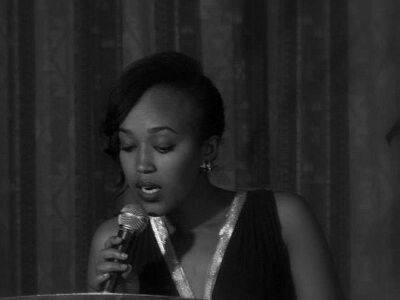 After getting her first degree in marketing she joined Addis Ababa University to do her second degree in Theatrical arts. Marta is very well known for her radio show Abronet at Bisrat FM and for her role in a radio drama. 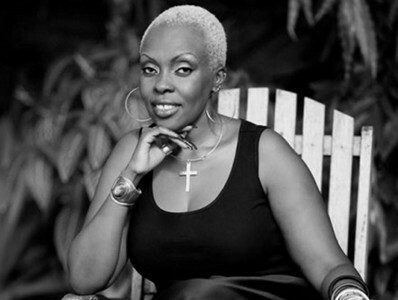 Susie Berya is a Tanzanian living in Dar es Salaam. She is a creative writer, and a feminist with a passion for all forms of art. She’s a 24 years old currently studying for her Bachelor’s degree in Economics of Development and working on her first anthology. 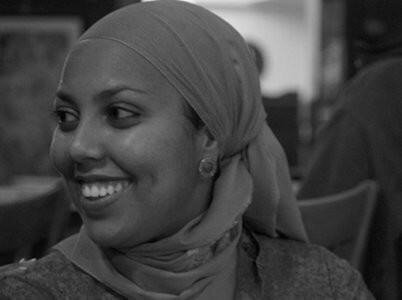 She writes contemporary poetry usually influenced by her daily experiences and social issues. 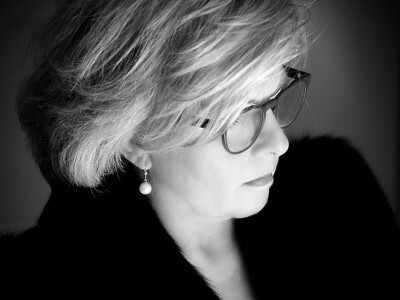 Sandra A. Mushi is an interior architecture designer with a very strong passion for writing. She is the author of The Rhythmn Of My Rhyme, published by Andika Afrika, Tanzania in 2008, is a collection of soulful poems – a journey of self discovery – women in love; women out of love; abused children; abused women; content women, women who have found themselves (emotionally, mentally and sexually) and women who just want to be. Sandra’s second book, Stains On My Khanga, published by Hadithi Media, SA in 2014, is a collection of short stories and poems and it is centered around justice for women and the challenges women face, the choices women sometimes have to make. 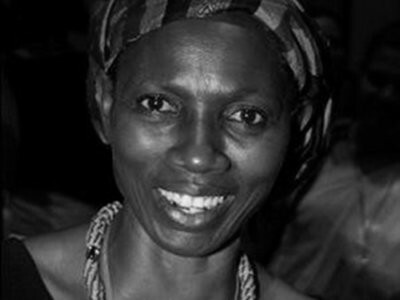 Some of Sandra’s works have also been published on Africa Knowledge Project, also known as AKP, and JENdA: A Journal of Culture and African Women Studies [JENDA]. AKP is an initiative by Africa Resource Center, Inc., dedicated exclusively to academic research on Africa and its Diaspora. AKP focuses on critical Africa-centered, evidence-based knowledge and research from a diverse range of disciplines. While Jenda is an award-winning peer-reviewed journal which focuses on social, political, economic, and cultural concepts and categories that shape the lives of women in different African societies. Sandra’s short story Lunch has been featured in Street Level, A collection Of Drawings and Creative Writing Inspired by Dar es Salaam published by Mkuki na Nyota Publishers, Tanzania in 2011. Sandra’s poems Chai and Through Change from the collection Stains On My Khanga, have been featured in Street Level 2, A collection Of Drawings and Creative Writing Inspired by Dar es Salaam published by We Don’t Reed Publishers, Tanzania in 2011. Sandra’s poem Reflections from Stains On My Khanga has been featured in a poetry anthology, Reflections: An Anthology of New Work by African Women Poets – Contemporary African Women’s Poetry published in 2013 by Lynne Reinner Publishers, USA. This anthology of never-before-published poems showcases a new generation of African women poets, some familiar, some just beginning their literary careers. 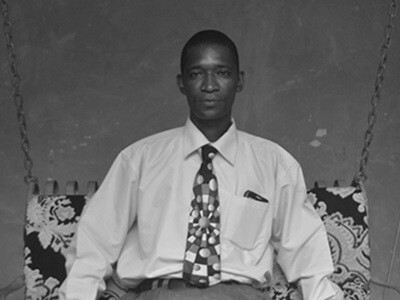 Their rich voices belie popular stereotypes, reflecting the diversity and dynamism of their environment. As they range across topics encompassing family and personal relationships, politics, war, and the ravages of famine and disease, they show the breadth of African women’s experiences and of their thinking about issues both on the continent and globally. 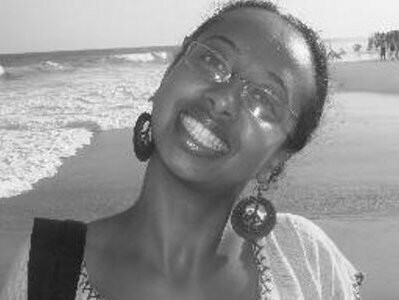 In 2013 FEMRITE, Uganda Women Writers Association, invited Sandra to participate in the 5th Regional Residency for African women writers. Sandra’s manuscripts were rated very highly by the evaluators. This year, the countries participating include; Malawi, Liberia, Namibia, Nigeria, Uganda, Kenya, Tanzania, Zambia, Zimbabwe and South Africa. Sandra was nominated for the fall 2011 residency at the International Writing Program at the University of Iowa, Iowa, USA. 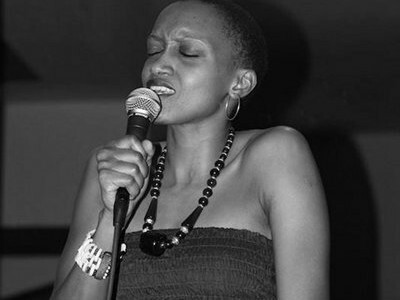 In October 2010, Sandra was invited to the international Hay Festival, a literary and art festivals, which was held in Nairobi under Storymoja. She was there as a Tanzanian writer and poet. Sandra was also invited to participate as an external observer in what EASUN and the PSO (a network of 50 NGOs in the Netherlands) planned as a dialogue event between Northern and Southern NGOs. This dialogue which took place between November 8-12, 2009 in Moshi has been dubbed the Moshi Dialogue. Sandra’s observation of the dialogue was put in poetic form and enacted after each daily session. 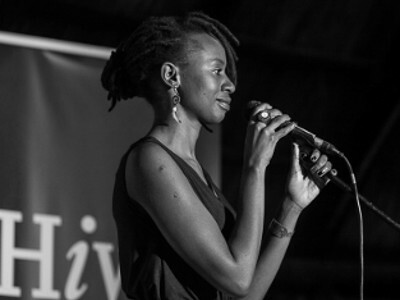 In 2008, Sandra participated in the Book Slam in Zanzibar, which happened during the Sauti za Busara festival and involved writers from all over the world. 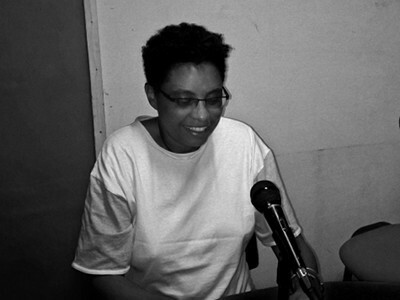 In 2006 Sandra was invited by Kwani to the first ever East African Writers Summit in Lukenya, Kenya. Sandra has also written for several magazines, news papers and corporate newsletter. Said Suleiman Ali is phenomenal poet based in Zanzibar, he is the founder and director of the prominent CHAKUWAZA (CHAMA CHA KUENDELEZA WASHAIRI ZANZIBAR) a Swahili poetry organization. 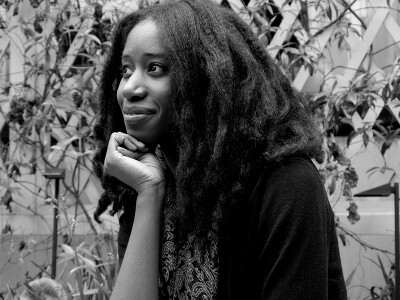 Victoria-Anne Bulley is a British-born Ghanaian poet and writer based in London. She is an alumna of the Barbican Young Poets and is a member of the Burn After Reading collective, established by poet Jacob Sam-La Rose. In 2010, her poem The Photograph was published in the anthology Did I Tell You? 131 Poems for Children in Need, alongside the work of Patience Agbabi. 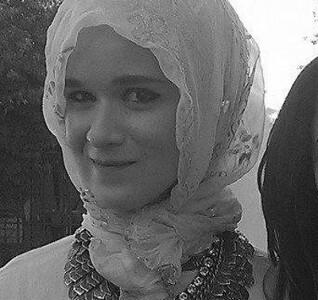 Graduating from the University of Kent in 2013 with a BA in English and Drama, she is currently pursuing an MA in Postcolonial Studies at SOAS, University of London. Her work is an exploration of the limits of knowledge and the body; cultural origins and a search for wholeness. She is working towards her first collection. 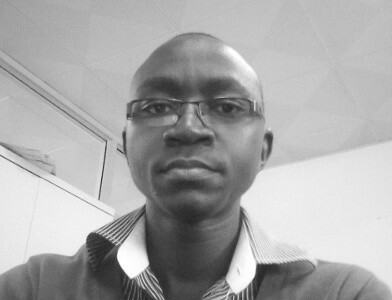 Richard Mbuthia is an English and Literature teacher in Dar es Salaam, Tanzania. Poetry is his second love: the rhythm, verse and verve of poetry are ingredients of a great love story. The twenty six letters of the alphabet amaze him with their ability to be used as instruments of change – their volatility, pointedness, efficiency and aptness cannot be gainsaid. 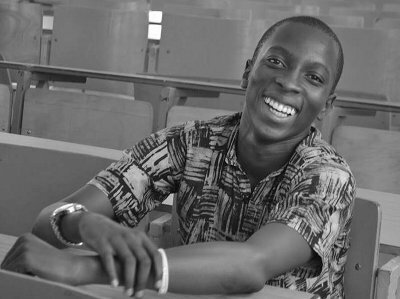 His ambition is that one day he will be a poet of high repute; a poet churning out metres and metres of verse; a poet on the drawing board of many a winning verse; a poet charting the way for revolutionary pieces; a poet telling the African story as it is and as it ought to be. 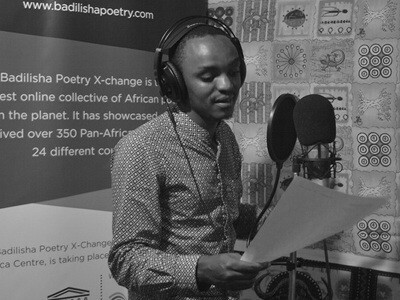 Princely is a poet based in Dar es Salaam Tanzania. Nkateko Masinga is a medical student, poet and writer. 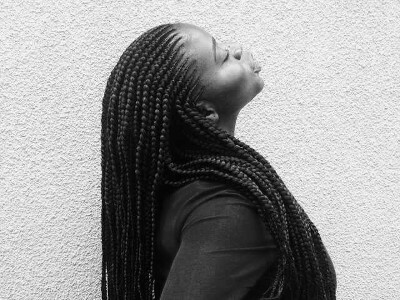 She has been writing poetry since primary school and her earlier work has been published in various school yearbooks and anthologies. Her more recent work has been published in an anthology called “Dear South Africa” in conjunction with Poetry Potion, an online poetry journal in South Africa. She is currently working on an audiobook to accompany her chapbook, as well as writing new poems for her second chapbook. 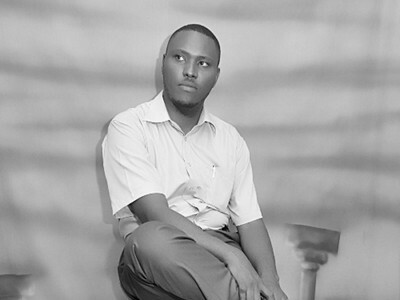 Ngasuma Kanyeka is a poet based in Dar es Salaam Tanzania. Langa Sarakikya is a 38 year old single working mother of two children. For her, words are jewels to be respected and valued, their power never to be underestimated. Each word represents a magnificent jewel that when strung together in a particular pattern with other jewels, creates a unique stunning necklace to be worn and displayed with humility and emotion. Langa has bipolar disorder, a mental illness that can take a person from extreme highs to extreme lows. Much of what she writes is inspired by extreme moods that allow her creativity to manifest in ways that are grounded in Truth. Her own Truth. Langa has been writing short stories, poems, and keeping a journal since she was a young child but has never been published. She writes to fulfill her own urge to get words down on paper and in so doing expresses herself and achieves a level of satisfaction that nothing else can deliver. 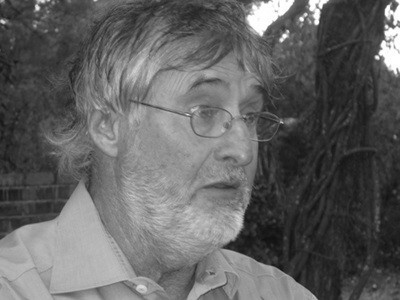 Christine Coates is a poet and writer from Cape Town. She has an MA in Creative Writing from the University of Cape Town. She has an interest in life-writing or memoir, and the recovery of personal history through public and private imagery. She makes hand-wrought books from found objects, paper and leather. She has undertaken the 800km pilgrimage across Spain, on the Camino de Compostela, and written an account of it. 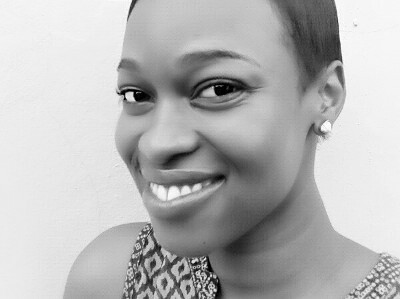 Her short stories have been highly commended; “The Cat’s Wife” in ADULTS ONLY, the Short.Sharp.Stories anthology 2014, and “How We Look Now” in WATER, the Short Story Day Africa anthology 2015. She has also written a cookbook: From the Heart; family, food and memory. Christine belongs to Finuala Dowling’s monthly poetry group and a women’s writing collaborative; The Grail Women Writers. She has worked as a teacher and adult educator. Now she freelances as an editor and writing coach. 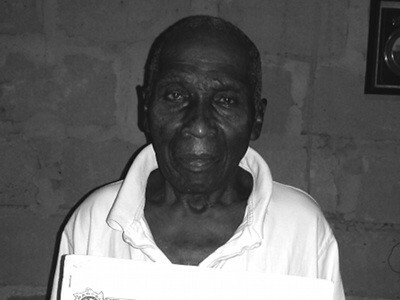 Gonsalves Mpili started writing poems at the age of 16 during his secondary education. He is now a graduate from the Institute of Finance Management, and still continues to write. He is the organiser of Woman Scream, a worldwide movement to fight violence against women through art and poetry. 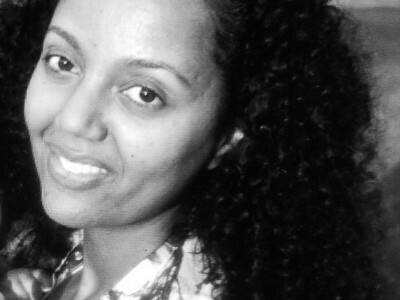 Liyou Libsekal is an Ethiopian poet living in Addis Ababa, Ethiopia. She grew up traveling and living mainly in East Africa. Liyou’s chapbook, Bearing Heavy Things is part of the 2015 African Poetry Book Fund’s New Generation African Poets series. 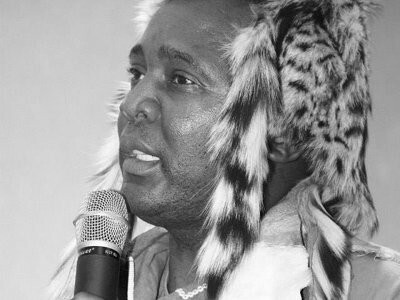 Moroka Moreri is a renowned Setswana oral poet who has penned several poetry books such as Motlhaolosa, Tshokele, Khuduela, Mmamowe, Sehutswelo and Thotse. 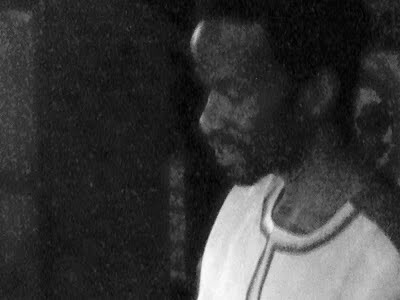 His masterpiece Motlhaolosa was prescribed for junior schools and used in Cambridge examinations. Coupled with this talent is his immense skill of translation which was called upon in translating a mathematics textbook for primary schools. 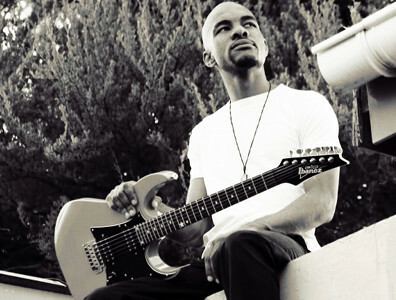 Moreri is also a renowned cultural activist whose poems have been extensively used by musicians on collaborative ventures. 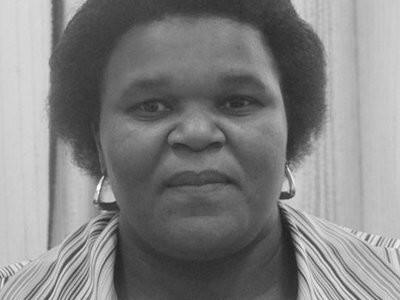 Nomangesi was born in 1966 in the Eastern Cape in the Grahamstown district. She can speak two languages, English and IsiXhosa. She started writing poetry in 2007, which are in isiXhosa and are unpublished. Ndi’Aphrykah, born Morongoa Basadi Mosetlhi, is a young Motswana writer, performing artist and entrepreneur. Her interest in writing began in her early teens. Her works include poetry, short stories, novels & scripts. Her involvement as a performer in local arts industry began in 2009 when she was casted for a role in Re Bina Mmogo Season II. 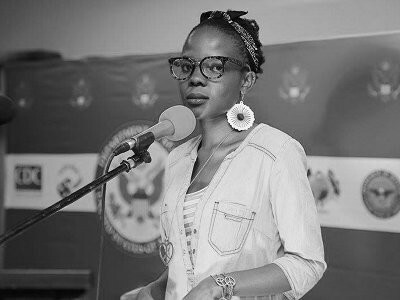 In 2011, she found herself pursuant of the stage again, performing as a poet for Art of the Soul Organization’s Poison Poetry, an endeavour she has continued with to this day. From here, her passion for the arts would only grow further, fed by partaking in local productions including Passion Play I & II, The Maitisong Festival, Queer Shorts Festival Showcase, and most recently, The Maun International Arts Festival. She is currently in the process of setting up a management and tax consultancy in order to be able to complete the requirements of being a member of the Chartered Institute of Management Accountants. She is also working on an anthology of poetry inspired by her time in the Delta and the remodel of her blog AmanteFatale. 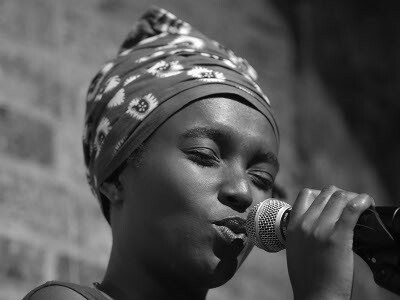 On the performance side, she plans to frequent local productions as a performer and as a producer as well as begin to frequent international festivals around Africa.